In photography, basic camera settings or modes can help even the most novice photographer take beautiful shots. 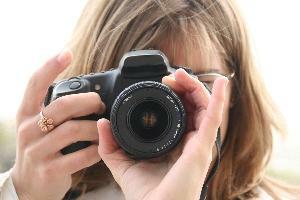 Most new SLR and digital cameras have a "fool-proof" setting that is indicated by an icon. Here is a list of the different types of settings and the icons they are attributed to. At night or in low light situations, you will want your camera to collect as much light as possible to create a great picture. To do this, the photography basic camera setting you will need is high ISO or nighttime mode. Either a moon icon or the letters ISO indicate these settings. Both of these settings hold the shutter open longer so that it collects more light. The only problem with having your shutter open longer is that it subjects your photos to camera shake (unfocused pictures because of shaking). To avoid camera shake, mount your camera on a tripod or set it on a sturdy object and use the timer to take the picture. The timer lets you take a photo several seconds after you press the shutter button. A clock icon usually marks the timer setting. Action mode is a setting for pictures that will contain a lot of movement, such as photos of sporting events or wildlife. Action mode keeps fast moving objects from being blurry. An icon of a running stick figure usually indicates this setting. If you have ever wanted to take several action pictures in quick succession, then you will love this photography basic camera setting called burst mode. It enables your camera to take rapid-fire photos by holding down the shutter button. To access this setting, find the icon that looks like several squares stacked on top of each other. Some cameras combine this setting with the timer setting. This means that you will have to press the button by the icon until the burst mode icon appears on your LCD screen or in your viewfinder. The macro setting on cameras is for showing incredible detail in small objects. It works well for taking photos of flowers, bugs, leaves and other objects that need the camera to be very close for a good picture. Without using this setting, the object will look blurry when zoomed in on. A flower icon is a typical symbol for the macro setting. The landscape setting is the opposite of the macro setting. It is for photos of objects that take a longer field of vision. For example, with a regular camera setting, the camera will only focus on objects that are close to the camera and everything behind the object will be blurry. Using the landscape setting makes the whole area focused. To find the landscape setting on your camera, look for an icon that looks like a couple of mountains. Some cameras are equipped with a setting that will take small videos. You can find this setting by looking for an icon of a video camera. Though this setting can come in handy if you want a little more action than a photo can give, beware that video can run down the camera's battery quite quickly and it take up a lot of memory. Remembering to use these camera settings at the appropriate times will enable you to take professional looking pictures easily.